Cyclocross - the most suffering I’ve ever put myself though in cycling, but also the most fun. The biggest factor I notice when trying to encourage other females to race is pure self doubt which I can 100% relate to. So, story time. My first experience with CX was strictly as a spectator where I went and watched an entire season. Through doing so, I met a few female racers who encouraged my friend and I to give it a try. With no previous desire or experience racing bikes, it sounded both exciting and insane. 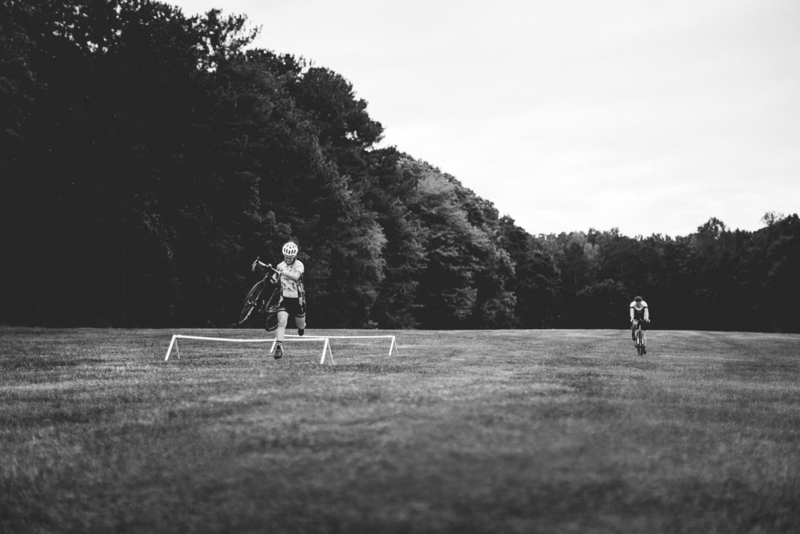 Finishing out the season of spectating, the idea of racing stayed in the back of my head. Would I actually do it next year? I mean, I want to, but who am I kidding - I have no clue what I’m doing, I don’t have a CX bike, my fitness is lacking and the list went on. Road season was approaching and that seemed interesting as well. I told myself that I would start by racing road. Yep, that’s what I was going to do. Spring time rolled around and I didn’t do it - I was too scared to race. There I was again - wishing I could be one of those girls. Instead, I was on the sidelines, week after week just watching. However, I was becoming an excellent spectator, if only they had podiums for that! After months of doubting myself, watching the road season come and go, and finding a thousand excuses as to why I couldn’t race, I made the move to buy a CX bike. I spent the end of the summer attending local gravel grinder rides, practicing the basics and attending a local clinic. I’d ride to a park near my house and Zach would show me what Adam Myerson taught him at his clinic. He would show me something and nail it. I would immediately be too scared to do it, the attempt would be hesitant, then I would fall and my doubts appeared again. I didn’t always understand how to do something I was shown and there is still a lot that I don’t know how to execute. (For example, how to take a corner properly - help!). When I didn’t have anyone to help me, I spent plenty of time watching YouTube videos to try and understand some of the skills. As daunting as practice was, the season quickly approached and it was time to apply what I had learned. On a brisk morning, I finally showed up to race for the very first time. (Hooray! I finally showed up!) Already a nervous wreck, I began making my way to the start line. As I lifted up the course tape to go under it, I accidentally caught it on my bike and pulled bright yellow tape several feet and didn’t even realize I was doing it! THEN, when I finally lined up, I leaned into a thorn bush and a few girls around me had to help me pluck thorns off my jersey. It was all super embarrassing and it didn’t feel like I was off to a great start! Honestly though, I was so nervous, that all of those silly mistakes kind of felt like a blur at the time. Once the official said go, we all took off and I gave it my all. Suddenly all of those nervous fumbles went away and do you know why? Because when it’s all actually happening you don’t have time to even think about it - you just do it. Those moments during practice when you stop right before you go over the barrier and have to work yourself up to it again are gone! There is no split second for you to say, “I can’t” or wonder if you’ll fall. Everyone is right next to you, you’re all hurting, you’re all new and you’re all making mistakes. But you know what, at least you’re all out there doing it. Week after week I kept coming back. I kept making more friends and I kept getting a little bit better. I also never pulled the course tape with my bike again, but I have seen someone else do it! See! I wasn’t the only one and whatever mistake you might make - trust me someone has done it before and someone else will do it again. With that being said, the same beginner clinic I attended before racing my first season, is the one I photographed on Monday. Everyone was welcome with any bike they could find. We had about 20 people show up of all ages and skill level. Some people were so nervous and had never tried anything CX related before. The clinic only covered the basics, so don’t feel like because you don’t have a local clinic that you can’t attempt CX. I’ve attached a few links below that have helped me. I really hope that if you’re interested in racing, but you’re full of self doubt, that you finally build up the courage to just go out there and do it. Read the original posting on the Specialized Find Your Fast blog, here.